Seems like everyone has Rhinebeck on the brain this week. I’ve missed it the past 2 years but this year — I’m going, damnit. And I’m gonna wear a new sweater. I think I know what I’m going to make. I’ve sketched it out. 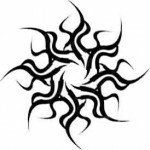 I’ve charted the center design motif. I just have to pick the yarn. I bought a couple of balls of Reynolds’ new yarn called Whiskey. It’s a pretty, tweedy wool. But, the front of the sweater is going to be stranded and I think it’s too heavy for stranding. 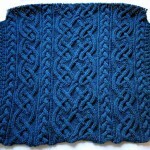 So, I want to use a tweed yarn in a DK weight. I’m considering Rowan Felted Tweed. It’s tweedy, it’s soft, and I’ve wanted to use it for a while now. It seems like it would be lightweight and comfy. I’m a bit concerned about it being extra-warm because of the 25% Alpaca content. If you’ve used it — what did you think? Or, any other suggestions (other than *not* attempting a DK-weight partly-stranded sweater 9 weeks before Rhinebeck)? I have a good 6 weeks before that kind of reasonable logic sets in. all i remember from rhinebeck last year (besides the insane amount of yarn) is how HOT it was! i can’t even imagine wearing a sweater in that heat. I think felted tweed is pretty light. I agree that Rhinebeck was quite hot last year. I was thinking about felted tweed being a good sub for that Equinox pullover sweater on the cover of the new IK. I’d be curious to see what you think of that. I don’t have an opinion on the sweater front (although Felted Tweed does make a lovely sweater), but I’m going to be at Rhinebeck too. For sure. And I hope it will be cooler than last year, because yes, it was warm . . . although I tend to think that’s more of an aberration for the middle of October than the norm. Go for it! Dude, I’m worried. 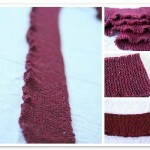 After reading how hot it was last year, now I feel compelled to finish a tank top AND make a sweater. oooh…that whiskey looks nice. where are you staying?? I’ve been wanting to try the Whiskey yarn – is it soft at all? I don’t think you are nuts for DK weight – how much knitting time do you have? SUHWEET! 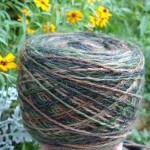 I’m SO excited that you’re doing Rhinebeck! Tick, tick, tick, tick, tick…..
And I’m not ABOUT to step into the double-stranded-in-9-weeks discussion b/c until this very moment I hadn’t even begun to think about that whole new sweater for rhinebeck issue. Damn. Now that ticking has an entirely different feeling. 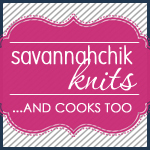 Yikes…..has anyone ever gotten an ulcer over knitting? Are you sure you wouldn’t like to make a tank top, based on last year’s temps? !